• Beloved pets: cattle, dogs, etc. • Use those professional photos you paid for in another way! 2. 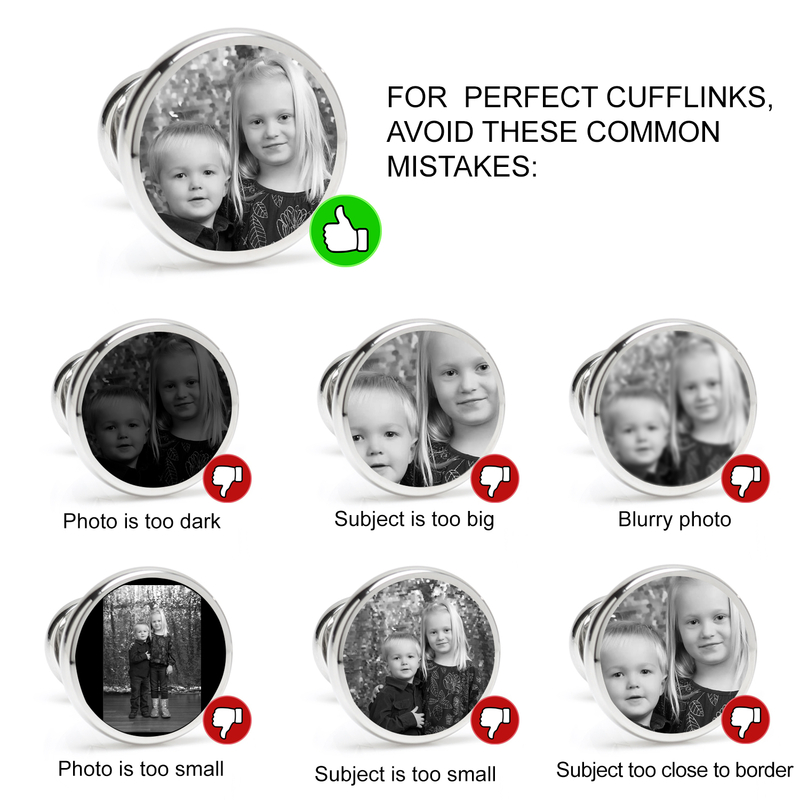 Send the image(s) to orders@cufflinks.com, be really clear on which part of the image should be used if it isn’t clear by the photo – extra points if you add your Sales Order number to the email. We love hearing the stories you send with the photos or the thrilled reactions from your loved one. This is the perfect gift for any occasion. 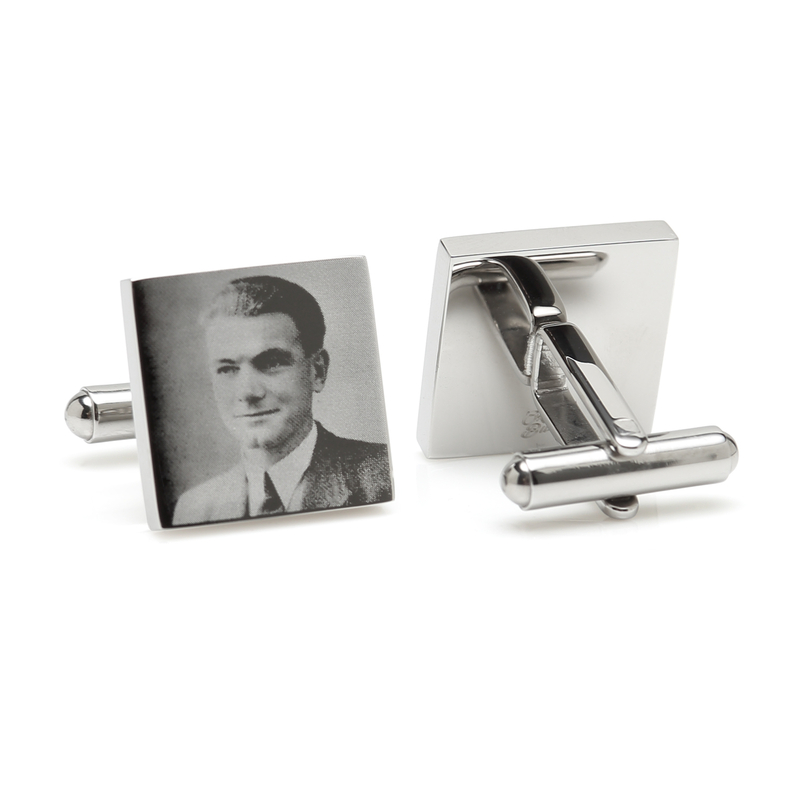 We can engrave photos on almost any of our other Engravable Stainless Steel Cufflinks (*price may change) in stock. 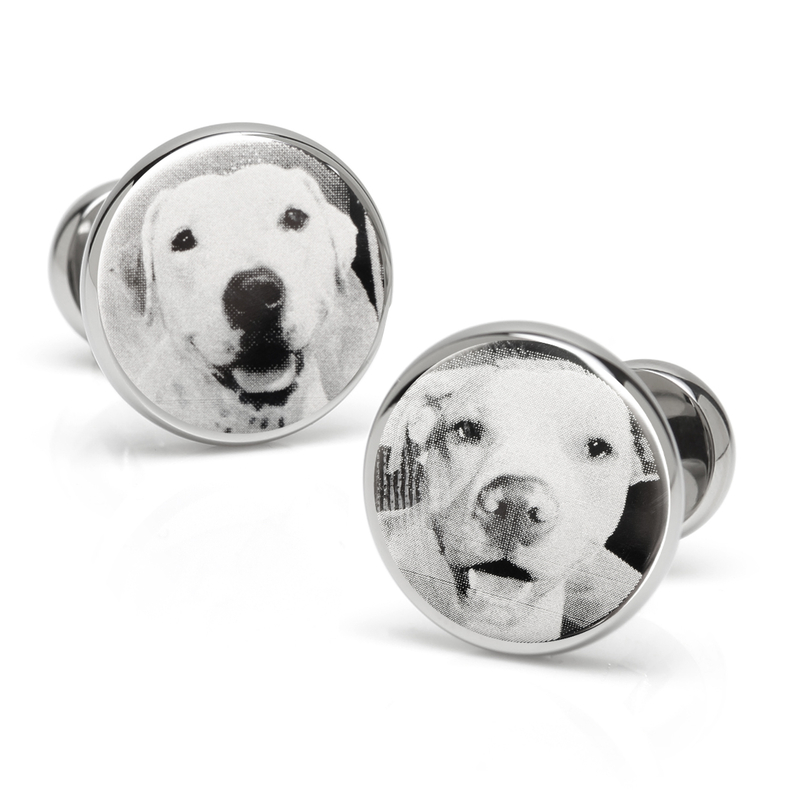 Please reach out to support@cufflinks.com for any custom requests. Or by phone at 1-877-283-3565.